Located on the shores of beautiful Lake Washington and less than five miles from downtown Seattle, the University of Washington boasts one of the top medical schools and cancer care centers in the country. Seattle is also a hotbed of visionary thinking and ideas. Groundbreaking companies like Boeing, Microsoft, Starbucks and Amazon are all rooted here. Seattle is proud of its vibrant and innovative music, arts and food/drink scene. It is the birthplace of many music legends and entire musical genres. It offers world-class museums, as well as funky independent galleries. It is home to several award-winning chefs and has at least one fabulous restaurant, coffee shop or brewery on every block. To say nothing of our beloved sports teams the Mariners, Sounders and Superbowl XLVIII Champions – Seattle Seahawks. This bustling urban enclave also serves as a gateway to the great outdoors. In less than an hour, you can be hiking, camping, skiing, or setting sail on one of the area’s beautiful bodies of water. With an international airport serving every major city in the U.S,. 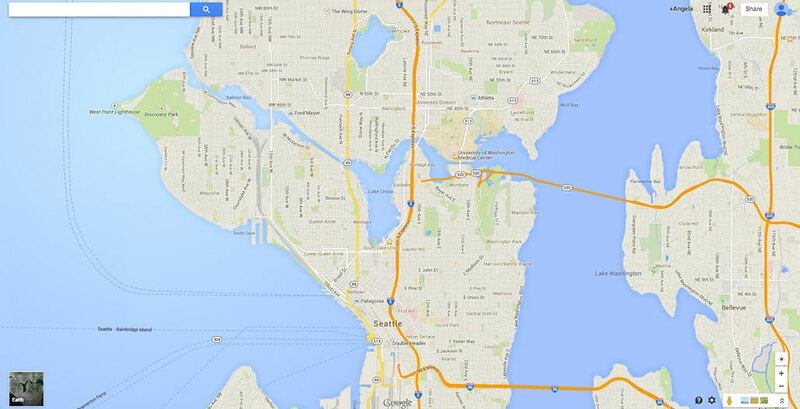 Seattle is easily accessible from all corners of the globe. Seattle is an exciting place, where new ideas are born, take shape and come to life. The University of Washington–and particularly the Department of Radiation Oncology– are no exception. There is a lot going on. A lot of thinking. A lot of collaborating. A lot of discovering. We think you’d fit right in. Seattle has the highest percentage of residents with a college degree or higher. At 37.1 inches per year, the city receives less precipitation than New York City, Atlanta, Houston, and most cities on the eastern seaboard. Seattle reports thunder on just seven days per year. Seattle has the highest percentage of people riding bikes to work compared to other US cities its size.